One of the Seven Grand Initiatives for the 2018-2020 Administration calls for clubs to donate Dr. Seuss books. It honors the tradition of GFWC clubs celebrating Read Across America Day every year. The observance, celebrated March 2 to mark Dr. Seuss’ birthday, was established to encourage teachers, politicians, community leaders, and families to show kids that reading is fun. 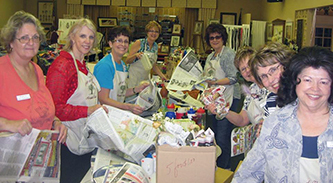 GFWC clubs always step up to the challenge! Dr. Seuss is often best known for his zany Cat in the Hat character, but Green Eggs and Ham is his best-selling book! Published in 1960, it’s one of his “Beginner Books” written with simple vocabulary to help young readers get started. Dr. Seuss books like Green Eggs and Ham have remained popular for decades. Get involved in this Grand Initiative and donate Dr. Seuss books to local daycare centers and Head Start programs! The colorful classics will not only help kids to read but will foster their love for reading. The USO’s Holidays for Heroes brings holiday cheer to our deployed military members located in the most remote areas of the world; with no access to a USO Center or many other resources. Since its inception in 2009, it has grown to reach hundreds of thousands of service members. This year the program expands even more by taking it around the world to our military in the Pacific, Europe, the U.S., and continuing in Southwest Asia. More than 14,000 special holiday care packages (snacks, toiletries, and holiday t-shirts) and 250+ holiday boxes (themed items and decorations) will reach 145 locations, across all 7 continents, worldwide. Along with Holidays for Heroes, hundreds of holiday events and programs will be hosted at USO locations around the world: including 12 Days of Christmas giveaways, gingerbread house making, holiday meal celebrations, raffles and game days, holiday baking, and much, much more. 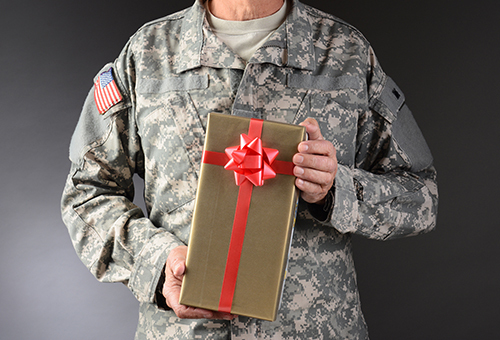 Holidays for Heroes truly makes a difference in the lives of our men and women who are serving far from home, especially during the holidays. Because of supporters like you, the USO is there delivering gifts to the most remote locations; bringing laughter and entertainment; and making USO centers feel like their home away from home. Visit uso.org for more USO stories and to learn how you can take action. Or, contact Susan Cleveland at scleveland@uso.org or (571) 212-6872. The festivities and family time that comes with this time of year always helps to illuminate all we have to be grateful for in our lives and the excesses that we are able to share. In light of the season, and the spirit of giving, December’s edition of the WHRC Newsletter will highlight specific community service projects from your club’s past that you are most proud of. This could mean anything from a Community Improvement Project your club completed 50 years ago to an annual holiday event your club throws for your community each year. Articles must be no more than 500 words in length and should be sent to WHRC Manager Alyssa Constad at aconstad@gfwc.org by December 13. Pictures are encouraged but not required. This month’s Curator’s Corner will continue to explore the GFWC International Past President Scrapbook Collection through the extensive scrapbook collections of Mildred Carlson Ahlgren. Mrs. Ahlgren first rose to leadership within GFWC by serving as the Indiana chairman of the Women’s Division of the U.S. War Bonds Committee. Shortly after, she served as recording secretary and moved through the national positions until becoming GFWC International President in 1952. During her term, Mildred Ahlgren was an advocate for citizenship and community affairs, and orchestrated a national campaign for the restoration of Independence Hall in Philadelphia. She also led two world cooperation tours to Europe. After her term as GFWC President, Ahlgren remained with GFWC as public relations director and as a consultant. In these capacities, she became affectionately known as “Madame Hawkins.” As public relations director, she led groups of clubwomen on goodwill tours all over the world. She served as a trustee of Radio Free Europe and Radio Liberty, and observed food distribution abroad as a member of the Public Advisory Board of the Foreign Operations Administration. Directors & Officers Liability Insurance, intended to cover a variety of claims that allege a wrongful act attributable to the management or governance of an organization. General Liability Insurance, which provides protection in the event of bodily injury or property damage to a third party due to your alleged negligence. Event Insurance, which allows clubs to insure a single event. General Liability Insurance premiums start at $300 annually, but may vary based on the number of club members and other special considerations. Directors & Officers Liability Insurance premiums are $463.50 annually for all GFWC clubs. Event Insurance varies according to the scale of the event being insured. To learn more, visit AH&T Insurance’s website, or contact Amy Miller with AH&T Insurance at 703-554-6269 or amiller@ahtins.com. Participation in any local state level committee. Volunteerism and contributions for animal shelters. Leadership and participation in community projects that honor community events and club members. Leadership and participation in any activity that enhances and promotes the enhancement of women, such as participation in the Arkansas ratification of the Right to Vote Amendment in August 2019 and the national ratification celebration in August of 2020. Visits to nursing homes or senior centers. Tutoring children and serving on PTAs or school boards. Leadership and participation in local public issues and legislation. Continued support for the military. Participation in coalitions that enhance the dignity of life. Participation in local and regional charities and aid in local disasters. Providing assistance to an Easterseals participant moving into a new apartment. Clubwomen are letting Arkansas know the power of the Federation through their deeds! While the word “debate” invokes visions of teams debating scholarly issues, in parliamentary procedure debate means discussion of a proposed motion. There are procedures to prevent chaos when a new piece of business is proposed. Unless other limits have been decided on, a member can only speak twice to any issue, and the second time can only be after everyone who wants to speak has spoken for the first time. Robert’s Rules of Order suggests a limit of ten minutes per person per speech, but that is very long for most issues in most clubs or states. Two or three minutes seem to work. The number of times a member may speak and how long she can speak each time should be voted on before any business is conducted. “Rights” in a debate are not transferable; no member can yield part of her time to another member nor can she save the left-over time from the first time she speaks to add to the time she has for the second time she speaks. Usually, the maker of a motion gets the privilege of speaking first. The presiding officer states the motion and then looks at the maker so that she can be recognized. She may choose not to speak at this time. If she wishes to speak later in the debate/discussion, she has no preference in being recognized. When a member is speaking, another member cannot signal that she wishes to speak next, and she cannot call out when someone else has finished speaking. Anyone wishing to speak must wait until the speaker is finished and then stand up and wait to be recognized by the presiding officer. If she is not recognized at that time, she must sit down and wait until the speaker is finished and then stand again. Every member of the assembly has the right to speak to every debatable motion before it is finally acted upon. When the chair knows who is in favor of the motion and who is against, she should try to call on people with alternating opinions. First someone in favor, then someone against, and continuing in that pattern. We recently received notice that Past GFWC Iowa State President Carolyn Blaue passed away September 18. Our condolences to her family. Her obituary may be viewed here. Indiana Past State President Barbara Conaway (2008-2010), who is recovering from a stroke, lost her husband on November 12. Susan Martin, a member of the 2018-2020 Credentials Committee, is recovering from surgery. Let us remember all of our federated sisters who are recovering from the damage wrought by the hurricanes and fires. Please remember to contact the State Presidents to see how you can help. 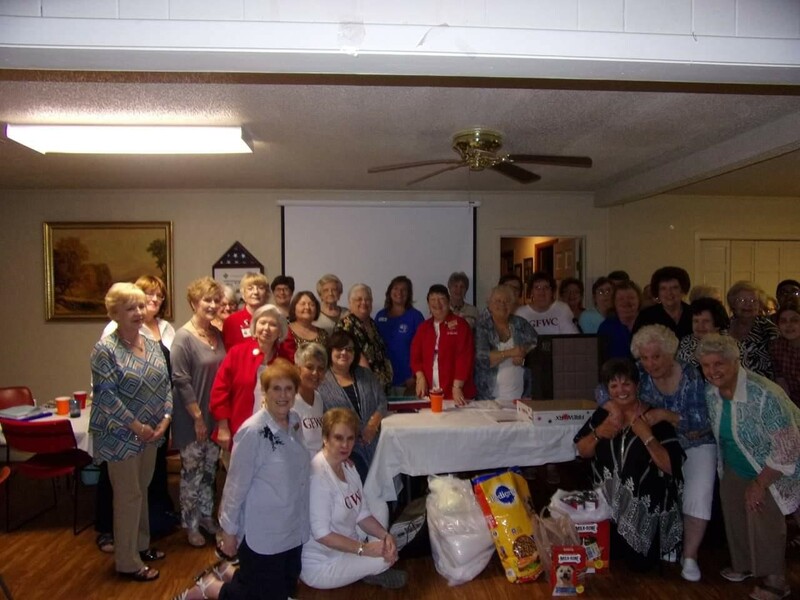 The GFWC Wamego Study Club (Kansas), the High Springs New Century Woman’s Club (Florida), and GFWC Minnesota State President Jean Walker are featured on GFWC’s Blog for their Veterans Day projects. Join more than 120 grassroots advocates from across the country are meeting from Monday, February 25 through Wednesday, February 27 in Washington, D.C. for the 2019 Shot@Life Champion Summit. Deepen your knowledge about global childhood immunization programs and issues, sharpen your advocacy skills, and meet with members of Congress on Capitol Hill. The deadline to apply is December 31 at 11:59 p.m. ET. Apply now! You’re invited to GFWC Headquarters for the Holiday Open House from 3:00-6:00 p.m. on December 5! Enjoy refreshments and a festive spirit, complete with a dazzling floor-to-ceiling Christmas tree. And, kick off the season of giving by bringing along Dr. Seuss books that your club has donated to save on postage. Tanzania School Milk Project is GFWC’s special project for Heifer this year! The project provides school children in Tanzania with nutritious, packaged milk. Not only is this important for their health, but it will allow them to better focus on their learning. While the GFWC App is no longer available in the App or Google Play store, that doesn’t necessarily mean it has been deleted from your phone automatically. Double check if you need to manually delete it. runs the non-profit S.O.A.P. and puts special hotline labels on bars of soap that are placed in hotels, restaurants, and other high trafficking areas. Club members labeled soap during their state convention workshop. This MLK Day, host a labeling party for your club and then donate it back to S.O.A.P. for outreach efforts in their area. The project was listed in the GFWC Top 10 Projects. It’s time to bundle up for the winter! 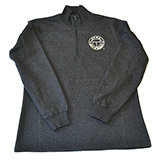 Stay warm with this soft and comfortable sweatshirt featuring the GFWC logo. Get yours for $30 in the GFWC Marketplace!